This section explain how to display a web page. It can be a local, Internet or intranet web page such as a dashboard, a clock or a template. 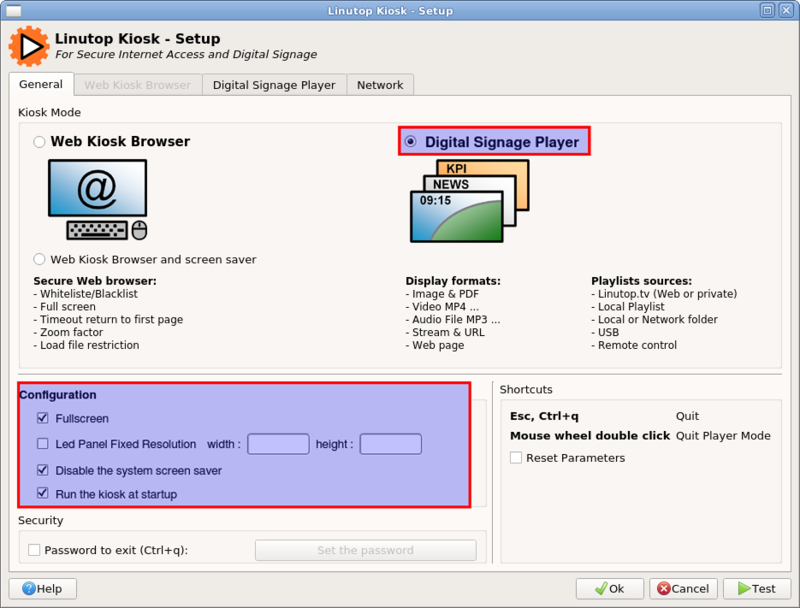 First you need to select Digital Signage Player in the main panel and if you want it to start automatically check the associated parameter. 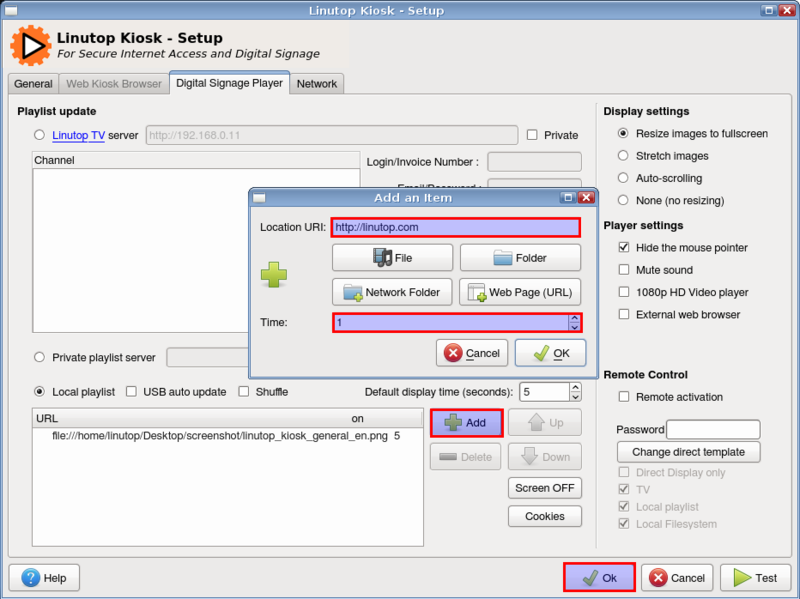 Then in the Media Player tab, you need to use the add button to open a dialog that allows you to choose the web page to display and the time it nees to be displayed, a time of 0 means that it will be displayed forever.